Over the years, The Winters Group has produced several resources rich with data, analysis, and recommendations surrounding D&I. Many of these resources are available for purchase or download below. Politics, religion, race—we can’t talk about topics like these at work, right? But in fact, these conversations are happening all the time, either in real life or virtually via social media. And if they aren’t handled effectively, they can become more polarizing and divisive, impacting productivity, engagement, retention, teamwork, and even employees’ sense of safety in the workplace. But you can turn that around and address difficult topics in a way that brings people together instead of driving them apart. 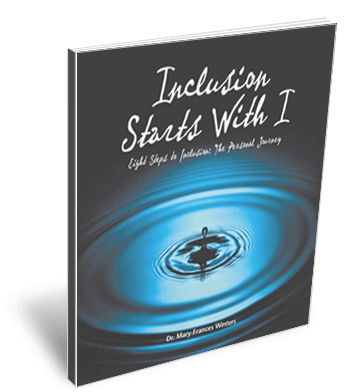 Adapted from our “Equity vs. Equality” series in The Inclusion Solution, this resource will provide support in continuing to dive deep into the topic and reality of equity– what it means in the workplace and beyond. Who are those most effected by the inequities that continue to be perpetuated? Does our quest for equality leave us with blind spots? 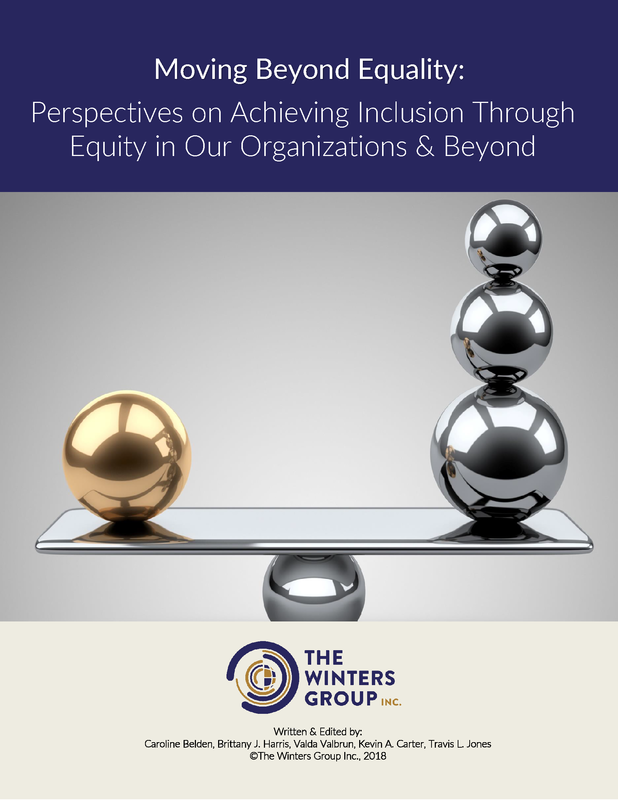 We encourage you to read “Moving Beyond Equality: Perspectives on Achieving Inclusion Through Equity in Our Organizations & Beyond” and use it as a resource for your own learning and reflecting as well as a resource to share and continue the conversation. Race is one of the most complex concepts in modern society. It has changed throughout history and very likely will continue to be “formed, transformed, destroyed, and re-formed” as our understanding evolves (Omi and Winant, 2001, 14). As our understanding of race evolves, so must our understanding of equity in the context of the systemic racism we see in and outside the workplace. To move towards this greater understanding of race, systemic racism, and equity, I ask three questions: How has our understanding of race evolved? How do we understand racism in the world today? How do we begin to have conversations in the workplace that honor the complexity and depth of this issue and that move us towards equity? 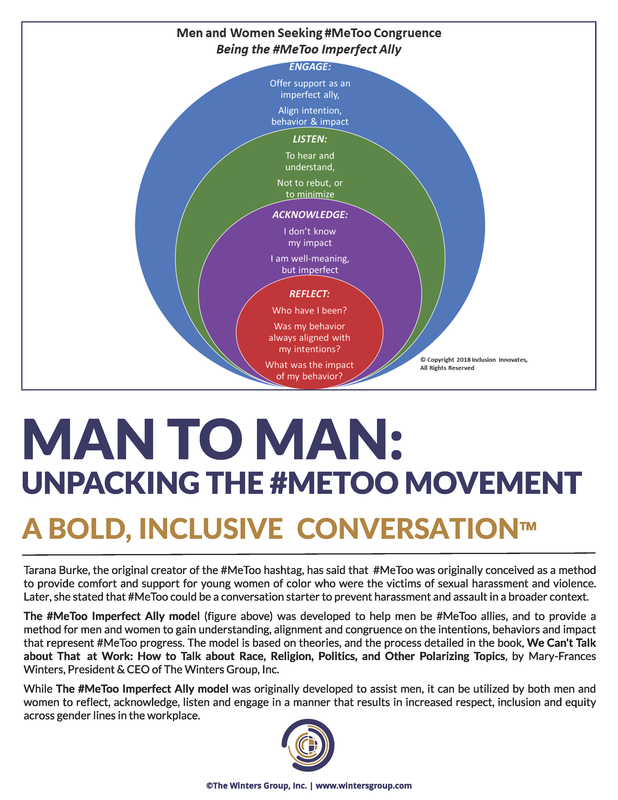 The #MeToo Imperfect Ally model was developed to help men be #MeToo allies, and to provide amethod for men and women to gain understanding, alignment and congruence on the intentions, behaviors and impact that represent #MeToo progress. 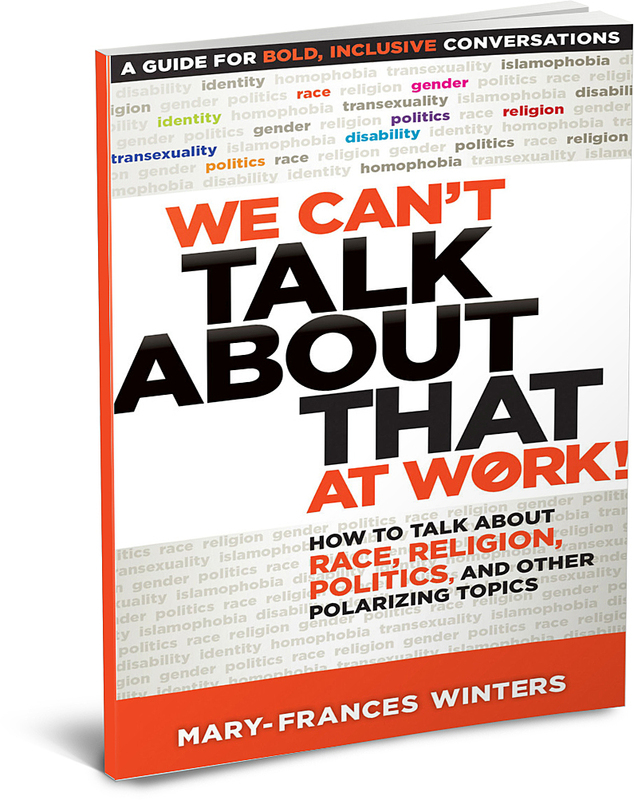 The model is based on theories, and the process detailed in the book, We Can’t Talk about That at Work: How to Talk about Race, Religion, Politics, and Other Polarizing Topics, by Mary-Frances Winters, President & CEO of The Winters Group, Inc. While The #MeToo Imperfect Ally model was originally developed to assist men, it can be utilized by both men and women to reflect, acknowledge, listen and engage in a manner that results in increased respect, inclusion and equity across gender lines in the workplace. 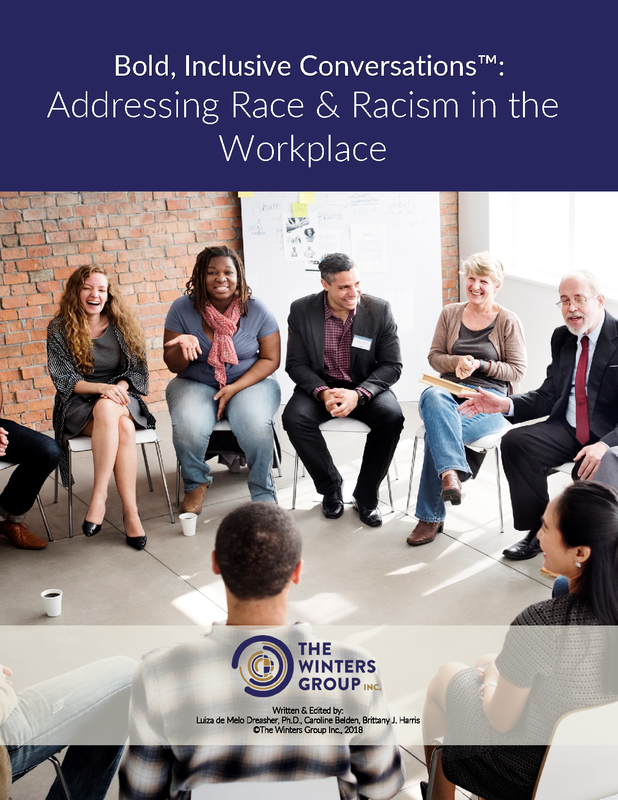 During the summer of 2016, following the murders of Alton Sterling and Philando Castile, The Winters Group hosted a series of Virtual Learning Labs that examined race-based trauma, and provided leaders, allies, and coping employees with strategies for creating spaces for authentic dialogue and engaging in self-care. 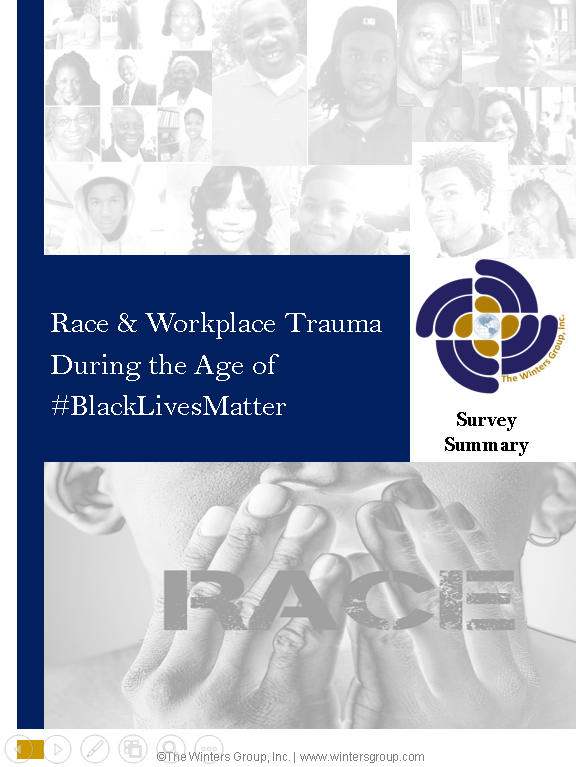 As part of the Race & Trauma Virtual Learning Lab series, attendees were also invited to participate in a survey that gauged their reactions to, and perspectives towards race relations, the recent police shootings, and the impact these tragedies have in their work environments. Four hundred (400) respondents completed the survey. Findings from the survey suggest some commonalities and distinct differences across races. For example, whites and blacks who participated in the survey shared similar perceptions towards the state of race relations. Nearly ½ of all black and white respondents believe race relations are getting worse. Alternatively, survey responses indicate disparities in how blacks and whites experience race and feel understood in the workplace. Fifty-three percent (53%) of blacks believe their co-workers have little to no understanding of their feelings around recent events. Whereas, 75% of whites believe they somewhat or fully understand their coworkers’ feelings. In addition to quantitative data, the findings also include narratives and comments shared by respondents. Download your complimentary copy of the summary data.